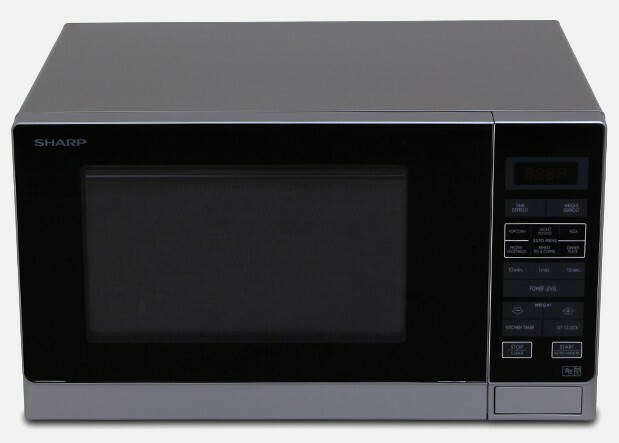 This Midsize microwave is a wonderful addition to any kitchen. With 900W of microwave power, you will easily be able to prepare your favourite meals in a matter of minutes. Also, you can rest easy knowing this microwave has great additional features like Express Defrost and Sequence Cooking to make preparing your favourite dishes so easy. This microwave has an output power of 900 Watts to enable you to defrost, cook and reheat all of your favourite dishes. For easy and efficient defrosting, cooking and reheating of popular menus, use Sharp's pre-programmed Auto Menus. 8 Auto Menus have been included in this microwave for your convenience. Easily defrost 500g of popular varietes of meat using this pre-programmed Auto Menu Defrost feature. This function allows you to cook by programming different cooking stages and times. Once programmed, there is no need to interfere with the cooking operation as the oven will automatically move onto the next stage. Use the Child Lock feature to prevent any unsupervised operation of the oven by children. The locally developed Menus on this microwave are fantastic for everyday defrosting, reheating and cooking of popular dishes. The R30A0S microwave is pre-programmed with 8 Auto Menus including 2 Auto Reheat menus, 4 Auto Cook menus, an Weight Defrost menu and an Express Defrost menu. This simple function is a fantastic microwave addition when you need to cook using multiple microwave powers, like when you need to defrost food and then cook it. You can pre-program both microwave powers and the cook times all at once, leaving the microwave to automatically switch from one stage to another. This fantastic safety feature will help to protect your whole family from any unwanted use of your microwave. By setting the Child Lock feature, you can prevent unsupervised use of the microwave when there is no food / liquid in the microwave cavity.